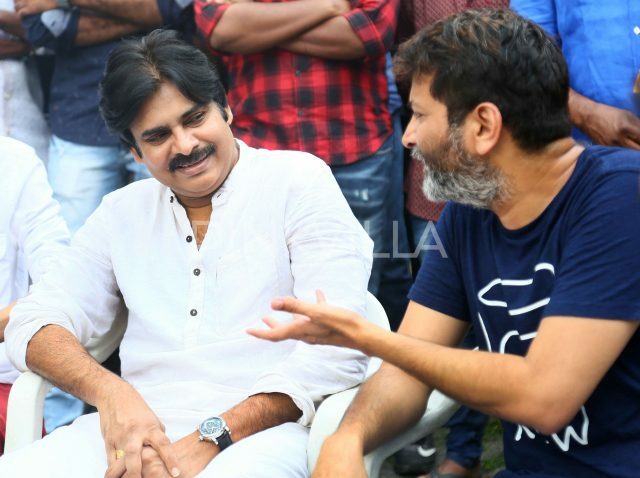 Trivikram Srinivas is currently directing Pawan Kalyan’s film, which is being referred to as PSPK 25, and is aimed to be released in January 2018. Jr NTR’s last release ‘Jai Lava Kusa’ was a blockbuster hit and his success streak continues at the box office. 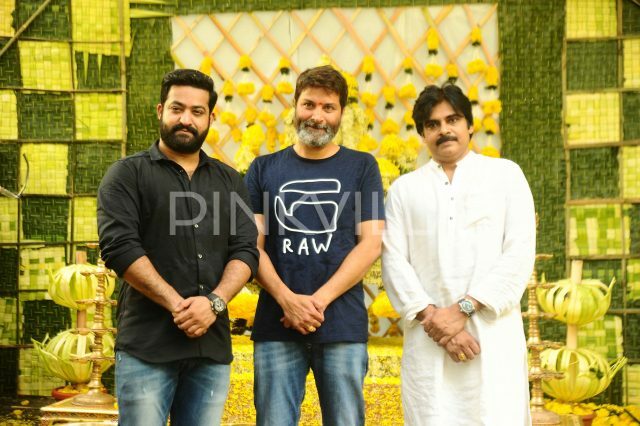 The ‘Young Tiger’, as he is fondly called by his admirers, will next collaborate with noted filmmaker Trivikram Srinivas and the film is said to be a romantic entertainer with comedy touch in it. 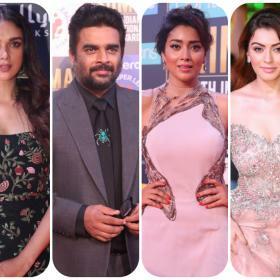 The yet to be titled film was officially launched yesterday in Hyderabad and the event was graced by Power Star Pawan Kalyan and also clapped for the first shot. 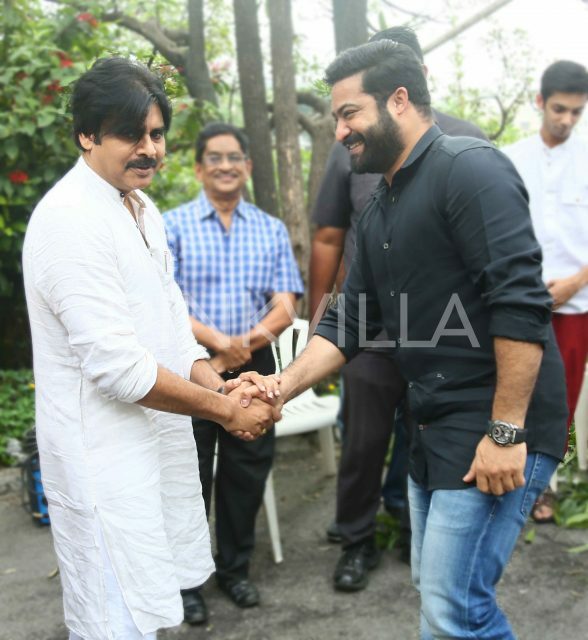 Much to the joy of fans of both the stars, the actors are seen in a frame together for the first time.